In December 2016, we hosted our first annual vision board conference. On the morning of the event, I had a friend come over to help pack the car. When I let him in the house he immediately looked around with this odd look. He commented on the dishes in the sink and the towels + clothes on the bathroom floor. I'll be honest, it looked like a tornado had come through and taken Dorothy and Toto with it. My home hadn't been cleaned in about two weeks. In fact, instead of cleaning my home, I'd been busy creating an event that I'd never done before, securing speakers, sponsors, and being an amazing mother - all in my free time (because I'm still holding it down at my 9-to-5). I was killing it in every sense of the phrase and if my bathroom didn't look like it had an appointment with Mr. Clean in a while, that was okay with me. A few years ago, that look (and totally unnecessary comment) might've bothered me. I would've tried to clean up my apartment before he came in or make an apologetic comment like "excuse my messy apartment." The reality is, the woman that I have become simply did not care because in my eyes, I had "it all." If you're still in your journey to become an unapologetic girlboss, there are only three things you need to do. My definition of "it all" is to create connections between women who dare to dream, find joy in creating value for others and are consistently setting new goals... and crushing them. I want to create a lifestyle for myself where I'm continuously doing things that I've never done before. (I'm a glutton for learning and late nights with Red Bull.) I prioritize being good at what I do over looking good. (I really don't care if I'm wearing jeans and a t-shirt and rocking the no-makeup-naturalista look all day long because I'm busy making moves.) Finally, I'm always focused on being a great parent. Take a second to decide on what you want to focus on in your life. Let the things you are passionate about, and the things that you want to happen in your life drive your definition of "it all." Strive for that... and only that. When everything else falls apart, flip your hair, hunny! The reality is no one can do all the things and be all things to all people. There is no way you're going to build a business from the ground up, have perfect hair and nails, be the perfect partner, mother, mentor AND mentee with your social life on fleek, getting at least 8 hours of sleep per night and have a clean home at the same time. Maybe your Instagram makes you look that way, but we all know the truth. There will be days when you turn your phone off to spend time with your family. There will be days when you cancel date night with your partner to go to a networking event. There will be days that you say SCREW CLEANING THE KITCHEN, I'm hosting an event and I'm so excited to finally build something of value. There will be days when you tell your partner to take the kids AND turn off your phone because today is YOUR DAY. The reality is we can all have it all. 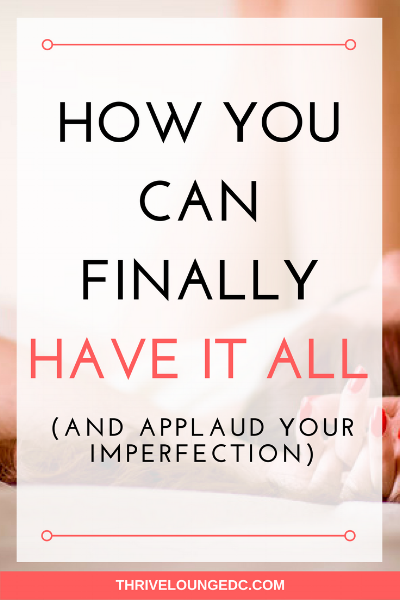 It is up to YOU to determine what "it all" looks like and staying confident and unshakable (with side eye in tow) that you've made the right choice for you. 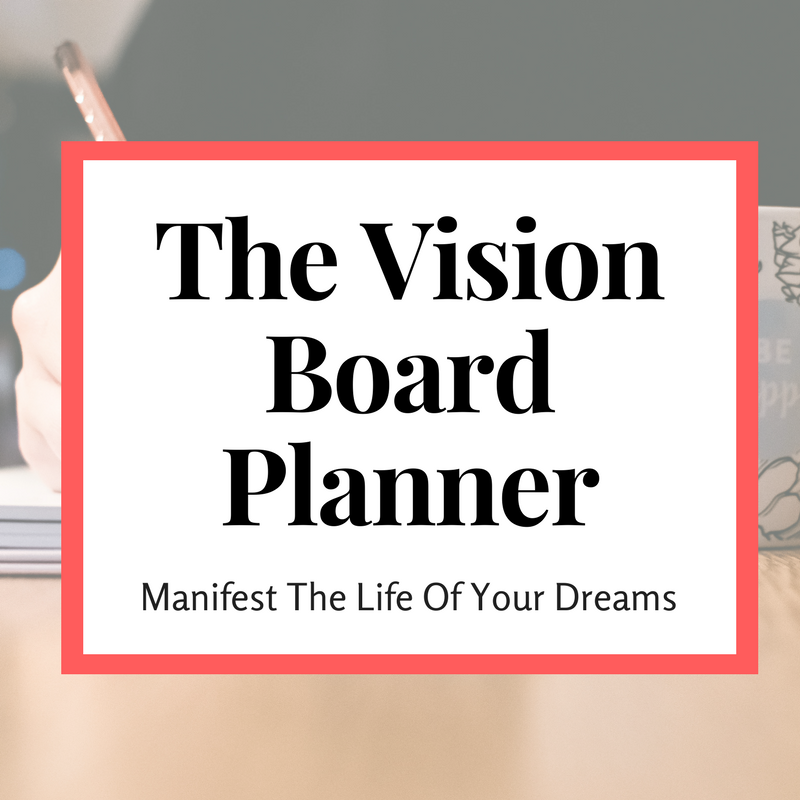 Grab this simple workbook that walks you through my step-by-step self exploration process to create your miraculous five-year vision! Subscribe to the newsletter to get the freebie!